A hatchet is a top wood-cutting tool. It links the accuracy of a one-handed tool with the power and heft of an axe, making it quite helpful for craftsmen who want to split or harvest their own wood. Like any other bladed hand tool, hatchets should remain sharp to provide their finest performance. Having a blunt hatchet requires more energy in getting the same result, undermining several of the hatchet’s key elements, escalating the wear and tear of the hatchet, and compromising the protection of the user. 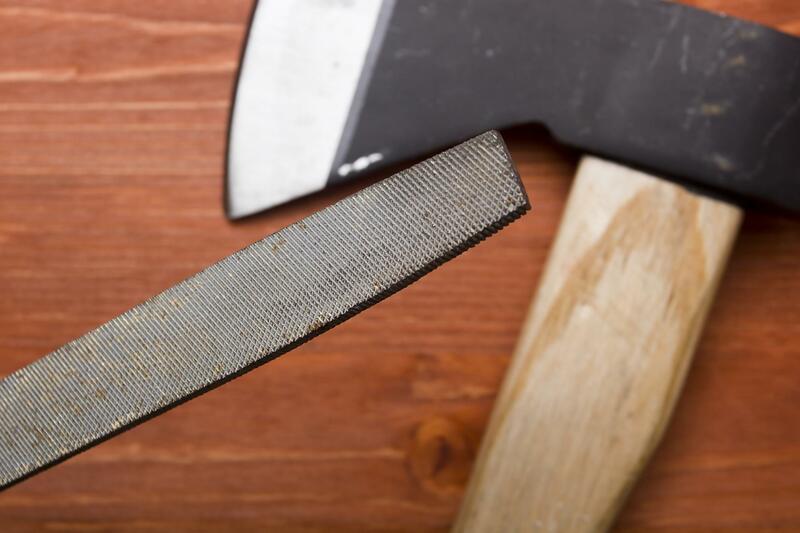 The easiest method of sharpening a hatchet is with a mill file. 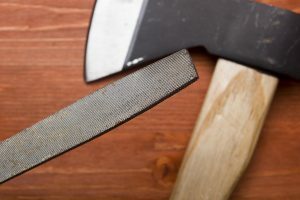 Using a file is a customary way to sharpen a hatchet. Put the head of the hatchet between your knees with the blade facing outwards, or place the hatchet in a vise if you are sharpening it at home. Put the end of the file beside the axe blade at an angle with the bevel, and move the file about the blade in long strokes with even pressure. About six to seven strokes will typically suffice. Sharpen the other side of the blade with the same amount of strokes, and then check the edge to see if it is still centered and straight. If not, keep filing to bring it into line. Few folks own grinding wheels, and these durable table-top power tools are uncomfortable to take into the field. An aluminum oxide grinding stone or a handheld rotary tool complete with a grinding wheel can be used as a substitute for a grinding wheel, and are much simpler to bring to work sites. The key distinction in using a rotary tool is that as an alternative of working the hatchet against the grinder, you work the grinder against the hatchet.